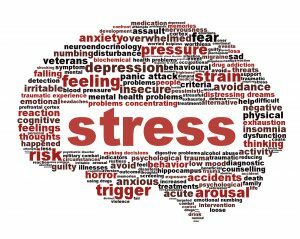 The month of April brings awareness to the effects of stress in our life. We all experience it, that all too common rise in our blood pressure, our hands may sweat, our head pounds, the muscles in our neck and shoulders beginning to ache. Stress is the natural response to fright, fight, or flight instincts; our bodies way of preparing to remove us from harm. But what if that harm is from the driver in front of you or the workload on your desk? No fighting or fleeing recommendation can save us from the pulse quickening muscle tightening nag of our daily life. So how do we combat life’s stresses? Harvard Medical School released a Health Report called Stress Management: Enhance your well-being by reducing stress and building resilience. In this report, they create a table of techniques for relaxation to reduce stress. The overall theme of Stress awareness is to focus on you: your breathing, your muscles, your priorities. Ultimately, it comes down to a common saying from weight clinic: Me time. http://cdn.content.health.harvard.edu/media/files/SC1016.pdf for the complete read and plan. This month I challenge you to do just that, take some time on yourself, for yourself, to learn about yourself and how you can best manage your stress. A highly recommended read for those interested in causes of effects of stress on our overall health.